The Wabi Sabi art exhibition is set to come to Testt Space in Durham from Thursday 25th January until Saturday 10th February. With a focus on cabaret and talks too, there’s a lot packed in to this event. With work from Steve Gibson, David Foggo, Araminta Swan, Gary Chaplin, Helen Smith, Andrew Rodgers, Peter McAdam, Jada Mallabone, Kjersti Sletterland, Juan Fitzgerald, Mohsen Mousavi, Craig Mountain, Dee Shaw, Quarterlight Veladrome, Early Maze and Paul Summers. Featuring paintings, drawings, collage, interactive experiences, sculpture, film, spoken word and a whole lot more, there are a few events that will pack more in than this. 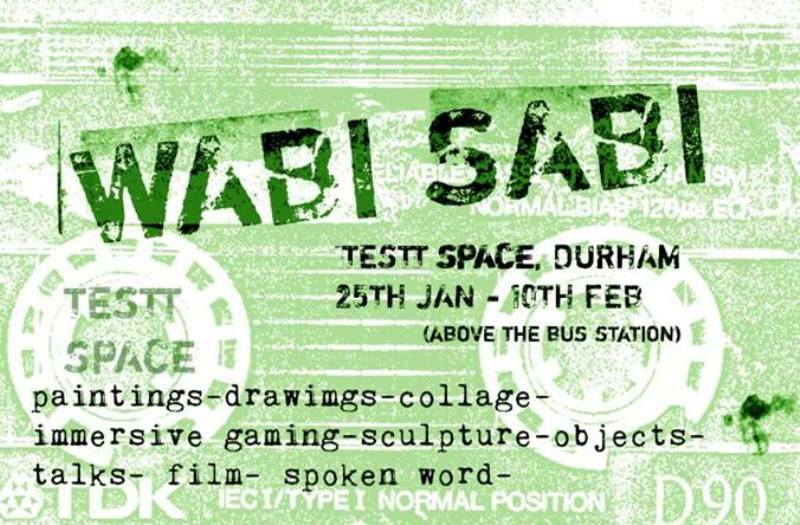 The Wabi Sabi art exhibition is set to come to Testt Space in Durham from Thursday 25th January until Saturday 10th February.